I take pride in my work and remain committed to delivering great customer service. Whether it’s a quick emergency repair or a full heating system installation, I always strive to deliver quality workmanship that sets me apart from the competition. It is for this reason that most of my work comes from returning customers and recommendations. We are absolutely thrilled with how our bathroom has turned out. Matt was efficient, knowledgeable, and had a great attention to detail. We would definitely recommend him to friends and family! Matthew Scanlon from Scanlon Plumbing is first choice for all my plumbing needs. I have multiple commercial sites and have varying degrees of needs. Matthew has been onboard with some of our schemes that have complex plumbing and heating requirements and he is also extremely valuable at times of crisis. In addition Matthew was involved in some extensive renovation work at my personal property. I gave him a blank canvas to design 3 new bathroom areas and once I agreed a budget I left the rest to him. He will only use the best products and has a great relationship with suppliers, both are testament to his reputation as an experienced tradesman who takes pride in the work he does. Everyone that visits my house always comments on the quality of workmanship and finish. A note to thank you for the work you recently carried out for us. First you replaced the toilet in our bathroom, as we wanted a comfort height one, and then we asked you to refit our downstairs cloakroom. We were very pleased with the way that you always kept your word about when you would be here and with the quality of your work. We will recommend you to anyone. Should you wish to quote us as a referee, please feel free to do so. Matthew fitted a new central heating system in my house just before Christmas. He has since replaced my sister’s bathroom and carried out an emergency repair at my Mums house. I cannot recommend highly enough. Matthew was recommended to me, and I can see why. This brilliant plumber dragged my ancient system into 21st century…not easy in my old house! He did an excellent job and could not have been more hard working, skilful, patient and thorough. He took real pride in his work and I am so pleased with the result. He also sorted my old shower and fitted a gas cooker before he left! Definitely recommended. Efficient reliable service. As private landlords we have several properties that are maintained on behalf of tenants. 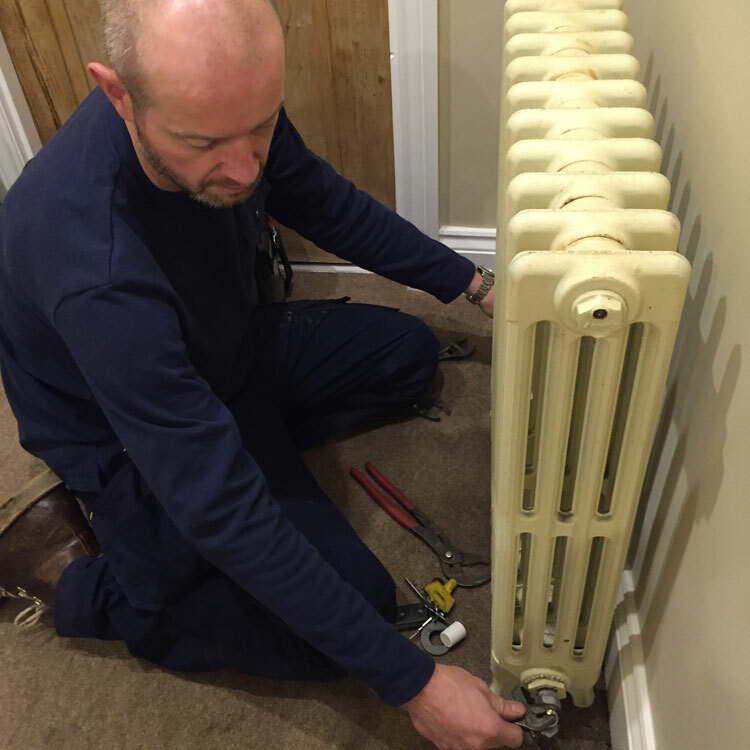 Matthew has repaired, installed, maintained and replaced central heating systems for us in our properties and has provided an excellent service on many occasions handling everything from Landlord Gas Safety checks and all sorts of plumbing emergencies, ranging from dripping taps to blocked drains. Matthew was recommended to us some years back and we would not hesitate to recommend him to others. For a plumber you can trust to get on with the job at a fair price give Matthew a call. General Plumbing and Problem Solving: Matt has been called out to resolve several plumbing issues at a large site that I manage. These range through basic maintenance, installing kitchen units, problem solving and predictive maintenance. He is flexible, reliable and keeps to his word. He is 100% trustworthy. I would have no hesitation in recommending Matt to anyone looking for a quality plumbing service. Matt responded immediately to fix a serious water leakage in our bathroom. He has since carried out more work to our central heating system to a very high standard. He is prompt, reliable and very competent. He is very personable and provides a 5 star professional service. We have recommended him to others who are also delighted with his work.